The blogosphere lost a favorite netizen this week.Â We’ll miss you, Inkblot, master loll cat and patio prince. It seems Inkblot was sent to cat heaven by a coyote, in the middle of a neighborhood where everything in your field of view in every direction except the sky is there because of a conscious human decision: Et in suburbia ego.Â We have strict zoning, building codes, design review, neighborhood associations, real cops and private security, neighborhood watch associations, home alarm systems – all the awesome powers of organized humanity – but nature has her ways, and creatures specialized for the edge of the forest (deer) and unspecialized creatures open to anything (coyotes, opossums, skunks, raccoons; cockroaches, Argentine ants, crabgrass, mosquitos) know a niche when they see one. When we moved to Berkeley, we lived a half-mile downhill from the East Bay’s wonderful hilltop park reserve, and our standard poodle saw a splendid, sleek, six-point buck enjoying the rose bushes and some vegetables.Â The dog had met the occasional deer in Vermont, wild deer with traditional views of ungulate/carnivore relationships, and charged out to teach this one some manners. But this deer had learned what wusses Berkeley dogs are, and didn’t give an inch; confronted with a set of lowered antlers and aÂ look that meant business, Winnie gave a whimper and hotfooted it back in the house. Now we live in a more urbanized neighborhood, and we still have the odd deer bounding through backyards, a whiff of skunk on the night air now and then and, wonderfully, a half dozen wild turkeys who amble down the sidewalk every few months.Â Where the deer come out of the park, and I have seen them several times on the Cal campus, mountain lions follow, and coyotes are no longer unusual deep into settled areas. `It’s one thing to have your garden browsed by Bambi’s extended family, and another to be afraid to let your cat or cocker out. Vegan, peacable Berkeley, like a lot of suburban communities full of city slickers with romantic ideas about nature, is having some difficult moments recognizing what it means to live neither in the city nor the country. I don’t entirely trust my judgment on this issue, because I love trains, an affection acquired in youth going to high school (and everywhere) in New York on one of the only two (IIRC) 24-hr public transit systems in the world, and deepened riding all sorts of trains, especially in Europe. You can read, eat, write, get up and walk around or to the dining car for a snack, or sleep, and you don’t have to park it when you arrive.Â What’s not to like? Keeping a car between two white lines is a very low-grade use of a human, even with a radio or a passenger for conversation. My instinct is to be a fan of California HSR. Unfortunately, it’s not a slam dunk for us. The Insurance Institute for Highway Safety, an independent research group, estimates that converting intersections with traffic lights to roundabouts reduces all crashes by 37% and crashes that involve an injury by 75%. At traffic lights the most common accidents are faster, right-angled collisions. These crashes are eliminated with roundabouts because vehicles travel more slowly and in the same direction. The most common accident is a sideswipe, generally no more than a cosmetic annoyance. What locals like, though, is that it is on average far quicker to traverse a series of roundabouts than a similar number of stop lights. Indeed, one national study of ten intersections that could have been turned into roundabouts found that vehicle delays would have been reduced by 62-74% (nationally saving 325,000 hours of motoristsâ€™ time annually). Moreover, because fewer vehicles had to wait for traffic lights, 235,000 gallons of fuel could have been saved [MO: with attendant criteria pollution and noise reduction]. They have three defects, though, one tractable and two not so much.Â The easy one is that they reverse the convention of prioritÃ© Ã droite, the obligation of the car at the left of a merge to yield the right of way to the car on the right (this post assumes right-hand driving). This convention is not a problem when a minor street enters an arterial or avenue at right angles from the right (especially if it has a stop sign or a light), but the whole idea of a circle is that the circle itself and its tributaries have equivalent status and acute-angle convergence.Â In the new traffic circle, very rare in California, just set up in Berkeley,Â a few months of use and some yield signs seem to have done the job and we are zipping around and through it, correctly yielding to the traffic already in the circle. Good as they are for vehicle traffic, however, they are really bad for pedestrians.Â Notice the Economist’s careless implicit definition of “locals” as “people who drive in the neighborhood”.Â Walking around a traffic circle of any size is either a long detour, crossing tributaries whose whole spirit is that their flow never stops,Â or navigating a one-way whirl, twice, that never has a red light and may be two or more lanes wide.Â When tributaries are light-controlled, things are almost worse: how do you get across DuPont Circle on your feet?…and that one even has a tunnel under it to divert some of the vehicle traffic.Â The aerial view in the Economist article rewards close attention: the sidewalks in this suburban wonder peter out in confusion and gravel and actually disappear as they get near it. Obvously the traffic engineer had no idea what to do next, and with good reason. Circles larger than the little three-meter traffic calmers that substitute for (or, wrongly, complicate) four-way stops at minor intersections take up a lot of space, aggravating the effect of roads in driving origins and destinations further and further apart and causing sprawl.Â This space can be landscaped, but not used: the larger the circle the more unrelenting and unforgiving the traffic going around it that separates it from pedestrian life. Too bad: another really seductive idea with fatal loose ends and crippling baggage. To use a much abused term, Jane was a conservative, indeed a radical conservative, mistrustful of abstraction, suspicious of large ideas and concentrations of political and economic power: a genius of common sense, as far from an ideologue as it is possible to be. 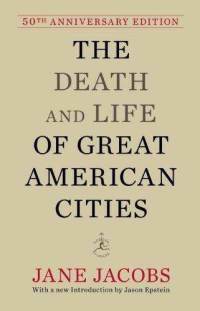 Toward the end of her life Jane was fascinated by urban traffic tangles as evidence of bureaucratic idiocy resulting in perverse, even deadly, outcomes: the man-made difficulty of getting safely where one wanted to go when one wanted to go there. Jane herself used a bicycle. She thought of these tangles as fractal versions of Soviet five-year plans. But she preferred to expose such faults in her own country than indulge in anti-Soviet bombast. 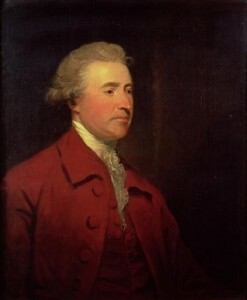 I never asked Jane if she admired Edmund Burke but I believe that Burke, were he alive, would admire her. Predictably Janeâ€™s book was praised by the libertarian right and denounced by the social engineers of the left. Jane took little note of either group. Iâ€™ve never heard Jacobs compared to Burke, but Epsteinâ€™s argument makes sense.Â And it points to an opportunity for constructive conservative environmental thought â€” an opportunity that the American Right has decided to abandon in deference to plutocratic thinking. Jacobsâ€™ work can be seen as the urtext of New UrbanistÂ land useÂ planning.Â Her emphasis on the functions of streets, on mixed uses, on building communities for people, on walkability, etc. essentially was taken up by organizations such as the Congress for the New Urbanism. 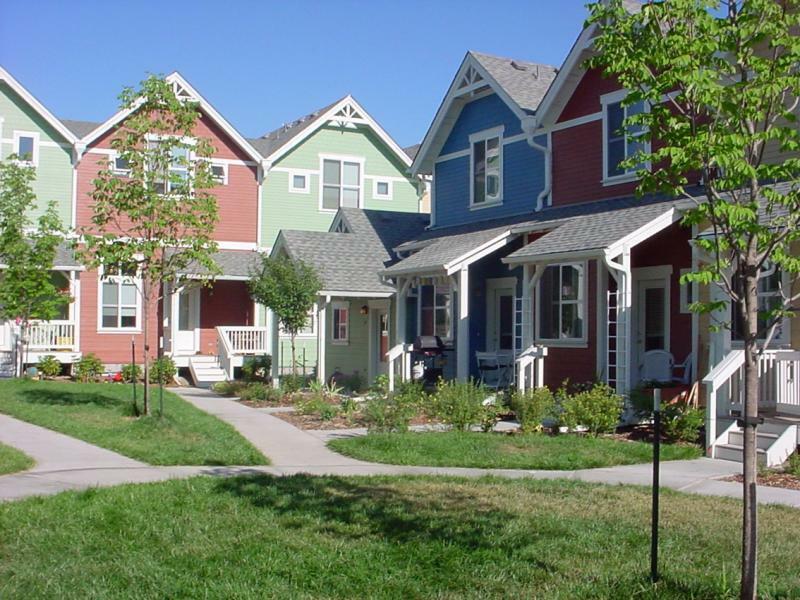 These themes dovetail with much conservative thinking about land use.Â CNU filed an amicus brief on behalf of Susette Kelo.Â If you are looking for the most overregulated sector of the American economy, local land use is pretty much the winner hands down. So you would think that conservatives would embrace new urbanism.Â Not so; at least not on the state and federal levels.Â Although some libertarians such as Jeff Riggenbach, and people at the Mises Institute and the ReasonÂ Foundation honor Jacobs herself, when conservatives and Republicans see attempts at actually implementing the new urbanism, they reject it.Â At the federal level, EPA has been a leader in showing how new urbanist planning can reduce environmental impacts, but that has not stopped conservatives from relentlessly attempting to zero out the agency.Â And when California enacted SB 375, perhaps the best example of attempting to enable new urbanism, conservativesÂ hysterically attacked it as Soviet-style planning. Itâ€™s not quite clear why the American Right would hate something in keeping with what its theoretical ideals are.Â As Jonathan Levine has powerfully demonstrated, new urbanism (and its close colleague, smart growth) are deregulatory strategies.Â The cynic in me suspects that while conservatives and Republicans say that they believe in the free market, their prime social policy goal is economic inequality, which they believe to be the natural state of things.Â Anything that could lead to more affordable housing or mixed-income neighborhoods is therefore suspect.Â Perhaps a weaker form of the theory is just about signalling: if you are convinced that your political adversaries are secular socialists equivalent to Nazis or Stalinists (while somehow simultaneously being Muslim radicals), then anything they want is necessarily bad no matter what they are saying. In any event, if we are serious about real conservatism, then it is those who support new urbanism and smart growth who qualify.Â Shortly before Death and Life was published, Russell Kirk, who had an environmentalist streak, insisted that â€œEdmund Burke was a liberal because he was a conservative.â€Â Kirk was more correct than he knew. In the northeastern cities best known to me (Boston and New York), small multi-family buildings whose owners live in one of the units are a common housing form. The classic types are, respectively the triple-decker and the brownstone row house.Â Interestingly, these physical forms became owner-occupied rental housing (OORH)Â from opposite directions: the three-deckers were built as rentals for a large influx of immigrants, the brownstones as single-family homes for a growing upper middle class, with servant accommodations.Â Â The three-decker was actually the result of a policy error: after the Boston Fire, the building code was reformed to forbid wooden tenements of four or more units, but it turned out to be cheaper to build three-unit frame buildings than larger brick ones, even with the required driveway separation between them. Elsewhere in the US, this occupancy is zoned against with the fervor only an ignorant and frightened middle class can gin up against anything of which they have no experience, and that might affect property values — like public transit disgorging hordes of brown criminals into the peacable white heart of Georgetown or Marin County.Â This is a pity, because there is a lot to be said for accessory dwelling units in private homes. It certainly worked for me (YMMV); the only good business decision my parents ever made was to buy a brownstone in 1946 and rent the bottom two floors as apartments; we lived in a three-bedroom two-story apartment absurdly above our real financial means, my mother had a sculpture studio in the front of an unusual fifth floor penthouse (probably not strictly legal) and my dad’s workshop was in the back half.Â In Brookline, Mass, my wife and I bought a Victorian with a carriage house whose second floor was an apartment. While our kids were growing up, we had an au pair couple in it and my mother lived in the attic apartment of the house after she moved to Boston.Â Again, we were living better than our real incomes could normally justify. A typical pattern is an older family owning the building and living in the largest unit, or two floors of a triple-decker put together,Â renting one or two units to students, to an au pair couple, to a young couple just starting out, or to empty-nest grandparents.Â The rent helps pay the mortgageÂ and taxes.Â Back in the day of outrageous depreciation rules for real estate, it was possible to live almost free as the landlord in a three-family building, but those days are probably gone; still, insurance, depreciation, roof repairs, water and sewer, and the like can partially offset taxable rental income, so for a modest investment in management and faucet repairs, being the proprietor of one of these is a very good deal in most markets. More important, the form keeps neighborhood populations mixed in age and status; you don’t get a whole street of suburban single-family houses with an identical family in each one, houses that will all turn over at once when the kids leave and can’t afford to buy a house on the block for a couple of decades.Â Grandma doesn’t have to choose between living with the kids and living forty minutes away, and can almost certainly stay independent longer.Â There are always kids of different ages out and about.Â And these neighborhoods are denser and usually walkable, always a good thing. OORH landlords do not ignore a leak or a broken window or failing heat in their buildings.Â OORH tenants do not trash the place or turn it into a crash pad for dopers.Â The owners do not try to gouge every last dollar of rent, because tenants provide useful services (and are anyway very close neighbors), like taking care of the dog during ski weekends and turning off the oven you left on when you went out of town.Â What this housing form makes (not without exception, but usually, and much more successfully than automobile suburbs) is stability and a dense network of neighborhood social capital.Â Neighborhood social capital is a Good Thing. Furthermore, it allows efficient, green, use of housing stock (in the case of the converted brownstones and San Francisco Victorians) whose units are too big for modern families with fewer kids and no live-in servants.Â Rationalized zoning to encourage this pattern could bring a lot of people back to sustainable living in cities; building more of it from scratch wouldn’t hurt either. A listserv that several RBCers belong to has had a discussionÂ about why the ancient meme that cities are evil, unAmerican congregations of overeducated snobs, while folks in small towns are decent, commonsense types who look out for each other and embody real virtue, persists. To the point that no candidate for office boasts about a city childhood, but people like Rick Perry seem to think they gain stature by going on about their small-town origins.Â A parallel discussion has been reflecting on why small business seems to get the same privileged pass, and whether it should. No-one has invoked the name of George Babbitt yet, but he’s in the wings. In my mind’s eye, I can walk up and down Main Street of my hometown as it was 30 years ago and easily name 50 thriving small businesses, each of which was supporting at least one middle-class family, often two or threeÂ (and I can usually name the families, too, because one of them was mine). On the profits they made from these businesses, these families were able to own nice middle-class houses, send their kids to college, take vacations, buy new cars, and generally live the American Dream as we understood it then.